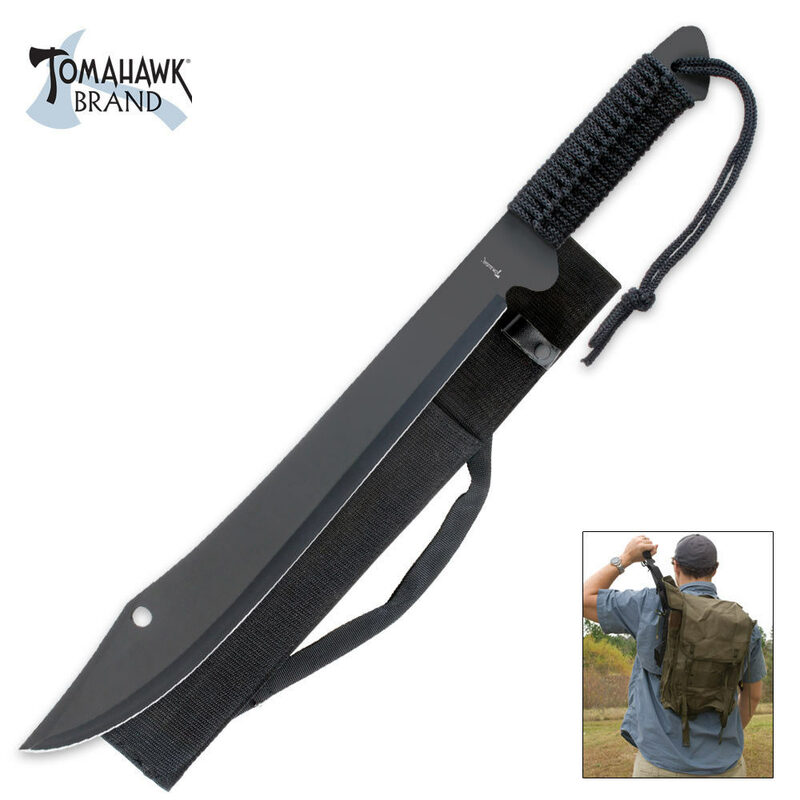 Tomahawk Full Tang Ninja Machete & Sheath | BUDK.com - Knives & Swords At The Lowest Prices! Cut your way out of danger! 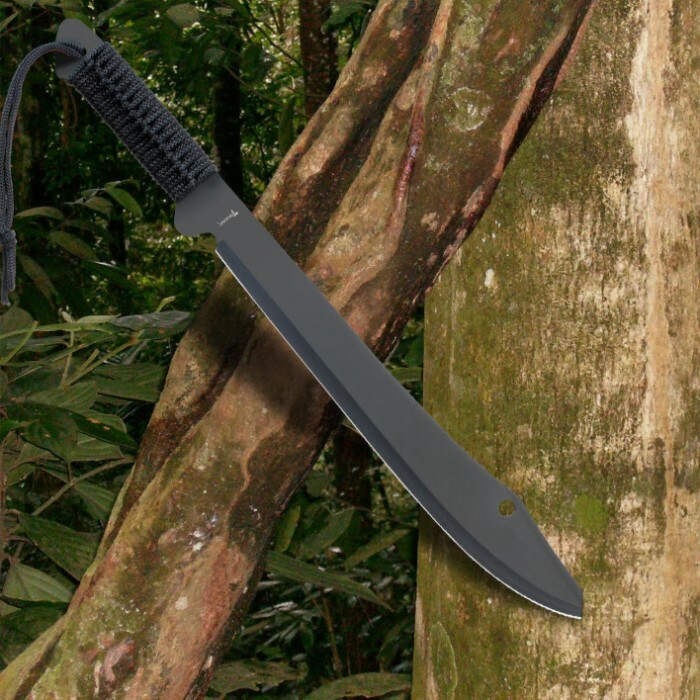 This powerful machete offers full tang, one-piece construction to get the job done! just got this, haven't had a chance to use it yet.but like everything else I've gotten looks good, haven't had a problem with anything I've gotten from you and for the price,nuff said. I bought two of these in a bogo sale, and I've used it extensively, it's still pretty sharp, and has taken everything I've thrown at it. I received two of these in the 5 Machete surprise package. They are more of a scimitar sword shape but seem sharp enough. For survival use, I can see adding one to a BOB and using it as a Chinese style weapon. Split a 6 foot sapling near the end, take off the cord, slide the blade into the split, wrap the cord and secure it. You have a long handle sword! At this price, you could get a few and save some for trading material as well. The machete is more like a sword it's razor sharp and pretty good quality. The sheath was sliced which was disappointing as well as the shoulder strap which appeared not to be sliced but torn from the base of the sheath. Poor sheath quality is expected though I try not to complain to much about this issue. I just use gorilla tape to seal the holes and it gives the sheath a somewhat reinforced tip. I think this is a good blade and would recommend it. This thing cuts small brush like no tomorrow. Good to take camping just for that reason. This thing needed to be sharpened first. But other then that it is a cool little tool. Was razor sharp out the box,made short work of briars and vines. The sheath is cheap and flimsy, but it is still well worth the price.